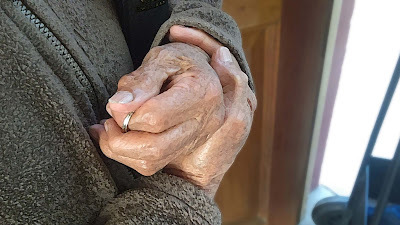 What makes someone’s hands beautiful? Different people have different opinions. Some would say that someone’s hands should look young to be beautiful. Others may claim that the proportions of your fingers and hand palms matter. However, if you are surrounded by generous people─especially people with little means─, you can strongly say that beautiful hands are those that are generous. It is heartwarming to see that─most of the time─the less someone has the more generous that person is, like my friend Rosita. She is elderly and sick. Even though she receives no pension, she always shares what she has with others: food, cleaning products, or a few coins of little value. Her hands are beautiful indeed! Today, I want to thank God for all the generous people that surround me.